This isn’t my first time using a powder type cleanser, but I only know very little about such cleansers. So I did a quick search online to have the minimum understanding of powder type cleanser: they’re mostly used as an exfoliating cleanser due to its powdery form, but you can decide the texture of your cleansing foam by deciding how much water to mix in. Add little water it’ll become a scrub (some powder doesn’t get dissolved so they act as a scrub) — add a lot of water and it'll turn into a milky cleanser. 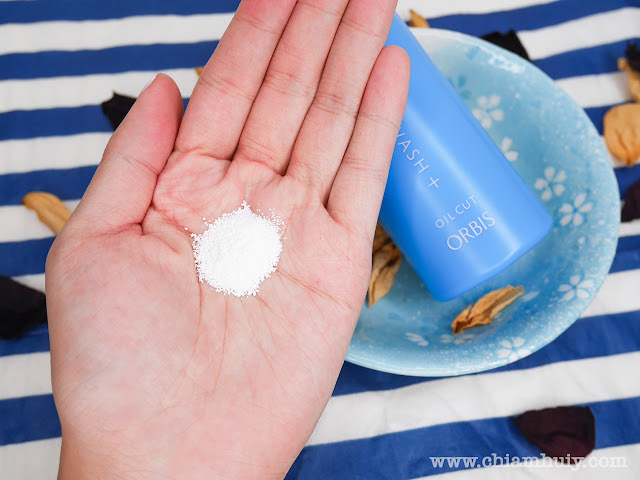 Established in 1984, ORBIS is a leading Japanese skincare and cosmetics company that advocates inner and outer beauty by promoting wellness from within. I have to tell you that it was pleasant to hear that all ORBIS products are 100% oil-free. New findings have reaffirmed ORBIS's belief that cutting out oil from skin care products is the best approach for boosting skin enzyme activity. 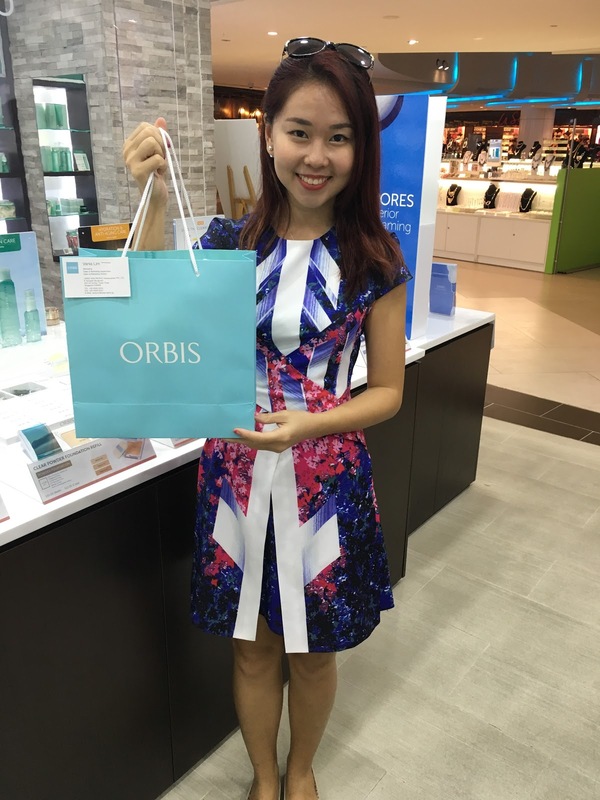 Aside from skincare products, ORBIS also carry cosmetics and wellness products which include nutritional supplements. This might horrify you as much as it did to me: most of our pores are clogged with keratin plugs, formed from hardened sebum and accumulated old keratin over time. Normal cleansers are usually not effective enough to remove these keratin plugs (oh man how have I been cleansing my face all this while?). In order to effectively break down these stubborn keratin plugs, you need a cleansing routine with greater cleansing power. 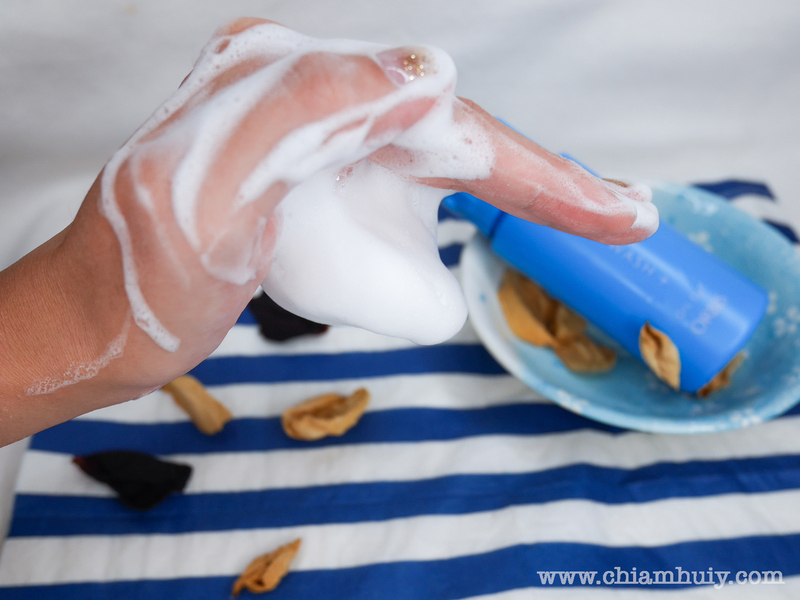 So how to increase a cleansers cleansing power? Use a powder cleanser. Powder cleansers usually have a greater cleansing power due to its formulation. 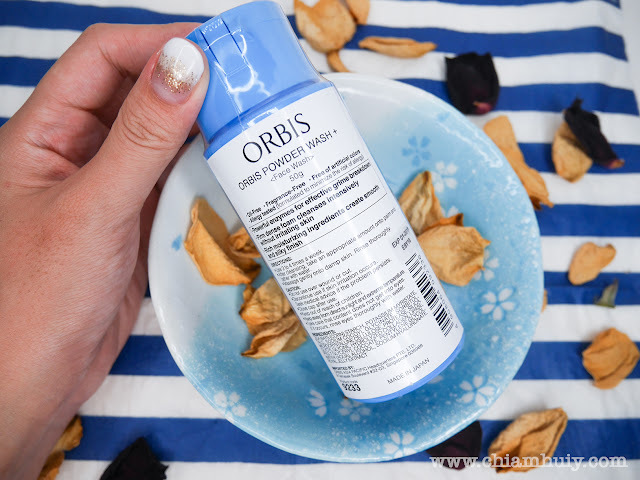 The ORBIS Powder Wash + in particular is formulated with two different enzymes – Protease and Lipase. These enzymes tackle the old keratin and sebum components of keratin plugs, effectively target and break them down in order to rid them off our pores. 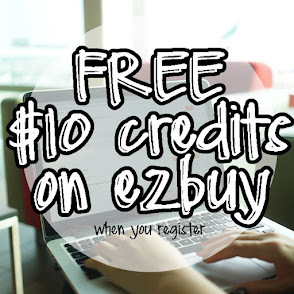 Enjoy $5 the already low price, and get your enzyme wash at only $20 here. 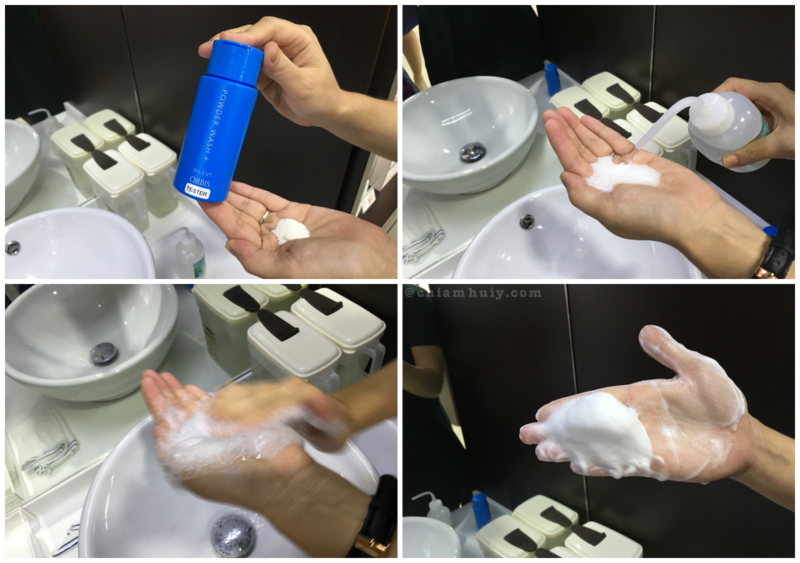 I was also demonstrated on how to use the ORBIS Powder Wash + by Stephanie, the beauty trainer at ORBIS . Pour out an amount akin to the size of a $1 coin. 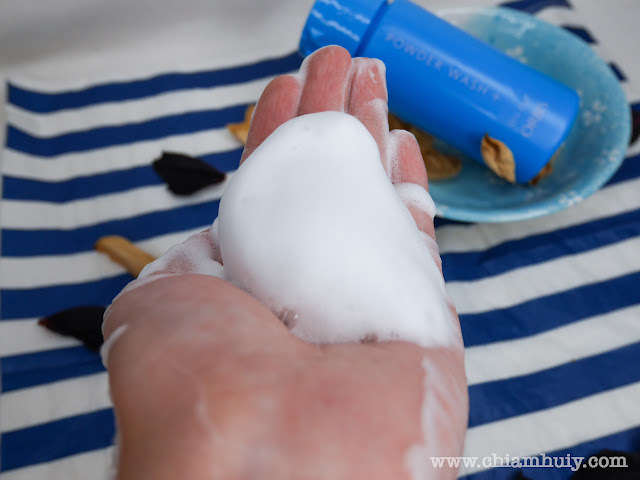 Mix in water and lather quickly, creating firm and creamy foam. The foam cushion texture will wash the skin gently without irritating it. For regular maintenance + better absorption of skincare: 1-2 times a week. Other than the two enzymes mentioned previously (Protease and Lipase), ORBIS Powder Wash + also contains collagen, hyaluronic acid and royal jelly extract that help to improve moisture and firmness. It is also oil free, fragrance free and is free of color additives. Foam created are dense and it doesn't fall off your palm! It's quite interesting to see the ORBIS Powder Wash + turns into dense facial foam after lathering in your palms. Kind of satisfying to create the dense foam myself too! With the dense foam, I spread across my face gently and between rubbing in circles to cleanse my face. Because the powder has all turned into foam, it doesn't feel harsh on the skin. It's velvety smooth! So an enzyme facial cleanser for exfoliation purposes, sounds good! It can honestly be one of the best facial cleansers you can have. Dont forget to go more rounds around your problematic areas like the nose, as it helps to remove black heads over time too! 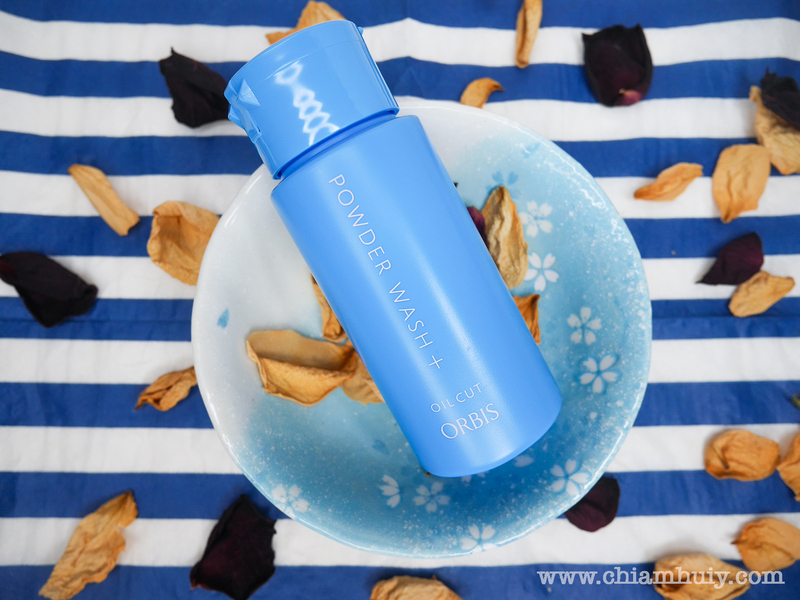 ORBIS Powder Wash + is only retailing at S$25.00 (including GST). You should be able to come to this page. Simply sign up, show the counter staff at ORBIS the email that you receive to enjoy the $5 off your purchase! For the rest of ORBIS outlets, visit ORBIS Singapore.